Large inventory or raw materials including steel, stainless steel, aluminum and plastic. EleMETAL is the area’s largest retail metal sales store. 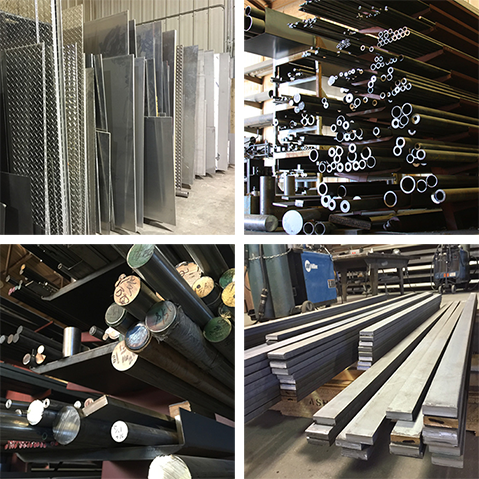 We stock a wide assortment of steel, aluminum and stainless steel to save you shipping time. Any material not shown can be special ordered with short lead times. Please call or email to verify material is on hand for your next project. NOTE: Materials not on hand can typically be acquired quickly. Request a Quote now!